Diapers are a necessary expense when you have a baby, but some parents find themselves needing to choose between buying a package of diapers and buying food or paying the bills. What many parents don’t realize is that using cloth diapers is a viable alternative, even if they don’t have a washer or dryer in their home. Disposable diapers are expensive, and cloth diapers can seem even more out of reach — after all, there is a start-up cost involved, and they need to be washed. A recent CNN article discussed how families sometimes struggle to come up with money for diapers, but the author believed that cloth diapers simply aren’t an option for those who aren’t able to wash at home. However, every year thousands of families demonstrate just how doable it really is, and a leading cloth diaper advocate hopes that this information can be used to inspire moms and dads who may be struggling to buy another pack of disposable diapers. Kim Rosas, owner of Dirty Diaper Laundry, organized the first Flats and Handwashing Challenge. She was inspired after reading a news article that outlined some unsafe and unsanitary practices some families put into place because they could not afford to buy more disposable diapers — moms trying to wash and “air dry” disposable diapers or scraping out solid waste and reusing them. “As a cloth diaper advocate I’ve always believed there are some exceptions to the rule and that disposables have a place, yet I knew that in desperate situations the money savings of cloth diapers would be an immense help to these families,” she explained. You can wash your baby’s diapers by hand in the sink, but Kim suggests creating a camp-style washing machine on the cheap. Flats are ideal for this purpose as they are made up of one layer of material so they wash easily, rinse easily and dry quickly — even indoors. Kim, along with other cloth-using parents, was dismayed at how easily cloth diapers were dismissed by the CNN writer. She recognizes that the author comes from a disposable diaper bank background — she is a founder of the National Diaper Bank Network, an organization that helps local diaper banks stock up on and distribute disposable diapers to parents in need. Kim said that she wished diaper banks provided at least a little information on cloth diapers and how they can really help family budgets and keep babies warm and dry. “A package of disposables is a band aid, but a stash of cloth diapers is a cure for diaper need,” she explained. 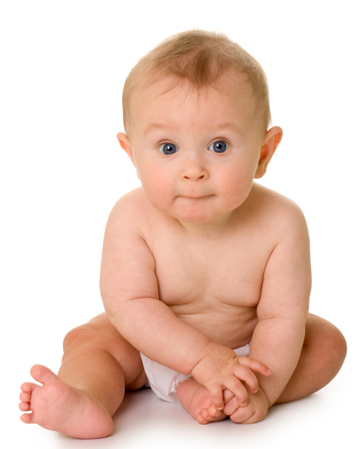 Cloth diapering is a viable option in most circumstances and even using cloth part-time can add up to a lot of savings. 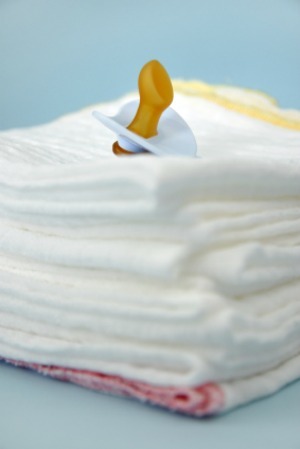 Consider letting your friends know about cloth diapers and point them towards resources such as this piece from Dirty Diaper Laundry, which shows parents how to cloth diaper on a budget. Moms shouldn’t have to choose between diapering their baby and putting food on the table — and with cloth, they don’t have to.